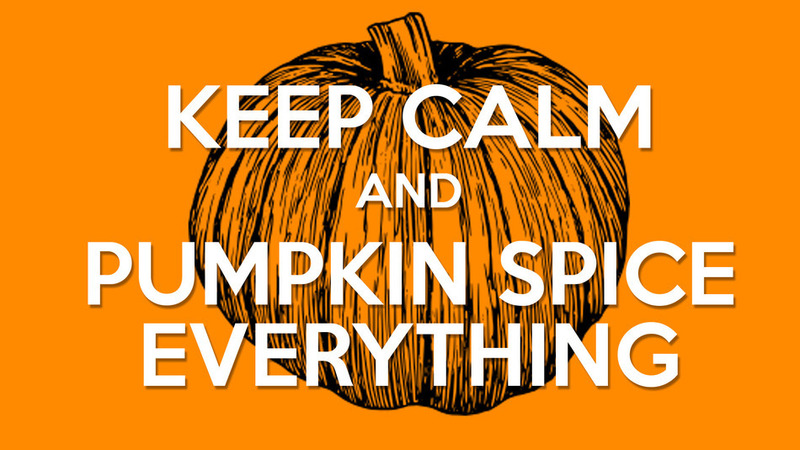 Death by pumpkin spice everything. 3 pumpkin recipes that will knock your socks off. 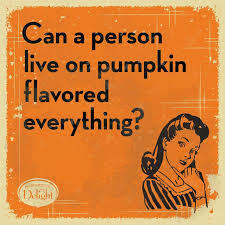 Can a person live on pumpkin flavored EVERYTHING? Place the chickpeas in a large bowl. In a small bowl, mix together the pumpkin, maple syrup, spices and salt. Stir well. 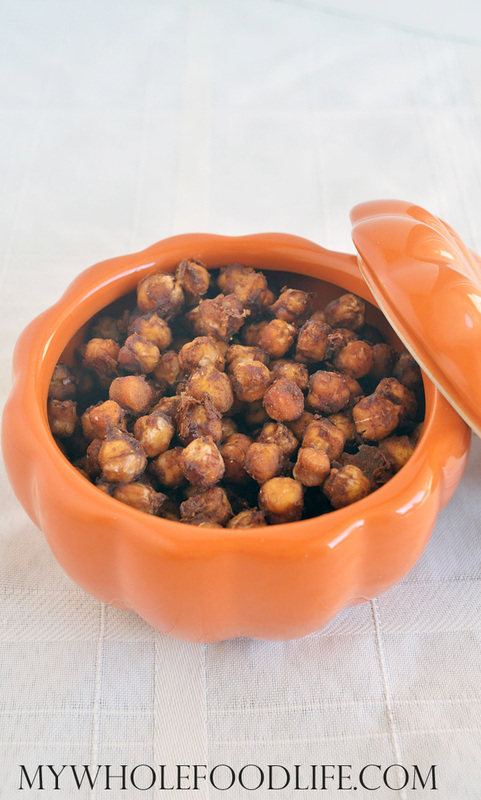 Pour the pumpkin mixture over the chickpeas and mix until everything is well coated. Spread the chickpeas onto a lined baking sheet. Bake for about 60 minutes, stopping every 15 minutes to shake the chickpeas around. 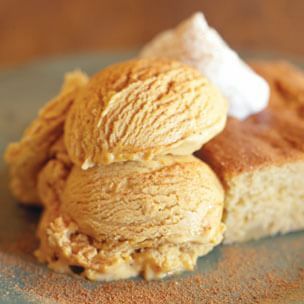 In a bowl, whisk together the pumpkin puree and vanilla. Cover and refrigerate for at least 3 hours or up to 8 hours. In a heavy 2-quart saucepan over medium heat, combine 1 1/2 cups of the cream and 1/2 cup of the brown sugar. Cook until bubbles form around the edges of the pan, about 5 minutes. Meanwhile, in a bowl, combine the egg yolks, cinnamon, ginger, salt, nutmeg, the remaining 1/2 cup cream and the remaining 1/4 cup brown sugar. Whisk until smooth and the sugar begins to dissolve. Remove the cream mixture from the heat. Gradually whisk about 1/2 cup of the hot cream mixture into the egg mixture until smooth. Pour the egg mixture back into the pan. Cook over medium heat, stirring constantly with a wooden spoon and keeping the custard at a low simmer, until it is thick enough to coat the back of the spoon and leaves a clear trail when a finger is drawn through it, 4 to 6 minutes. Do not allow the custard to boil. Strain through a fine-mesh sieve into a bowl. Place the bowl in a larger bowl partially filled with ice water, stirring occasionally until cool. Whisk the pumpkin mixture into the custard. Cover with plastic wrap, pressing it directly on the surface of the custard to prevent a skin from forming. Refrigerate until chilled, at least 3 hours or up to 24 hours. Transfer the custard to an ice cream maker and freeze according to the manufacturer’s instructions. Add the bourbon during the last minute of churning. Transfer the ice cream to a freezer-safe container. Cover and freeze until firm, at least 3 hours or up to 3 days, before serving. Makes about 1 quart. Combine the sugar and ⅛ teaspoon of the pumpkin pie spice on a small plate. Dip the rim of a chilled martini glass in water, then dip in the sugar to coat. 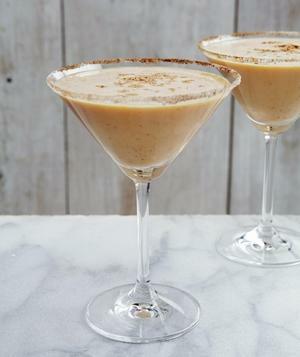 In a martini shaker filled with ice, combine the vodka, half and half, pumpkin puree, maple syrup, vanilla extract, and the remaining ⅛ teaspoon of the pumpkin pie spice. Shake vigorously, then strain into the prepared glass. This entry was posted in Uncategorized on October 28, 2015 by thehypothyroidismchick.